Mortgage rate averages for the week of April 15 ending Friday with a slightly lower position than they had earlier in the month. The best execution opportunities are now settling out the week’s market play at 3.5 percent of the well-watched 30-year mortgage option, slightly lower than where rates were in March 2013. Many market watchers are in agreement that rates won’t go lower than the 3.5 percent mark, but then those same voices were expecting rates to rise going into the summer home-selling months when rates were at 3.75 percent in the beginning of March. In hindsight, it’s clear that the early April job reports from the federal government did quite a bit to dampen enthusiasm for higher lending costs. Some of the extreme outliers this week are seeing mortgages approved for as low as 3.375 percent, but what’s not being said is that these deals may also include higher fees and payments of points. So the APR on such bargains may turn out being higher after all the math is crunched on a particular deal.Market watchers were not expecting any surprises at the close of this week. All the major reports affecting the housing market were out the week before without much change through April 19. That said, the next two weeks are expected to offer some potential influences that may cause rate movement. The end of April is expected to include a rash of new government reports right at the beginning of the summer home-buying rush in May. So many expect rates to continue to waffle sideways without any clear movement up or down. Some loan advisors continue to tell borrowers to lock a rate if closing within the next week or two to protect themselves from any sudden upside swing at the end of April. Many continue to hold out that the rates will eventually rise with the improving economy and the heating up home-buying market, despite the opposite performance so far in the first quarter of 2013. That said, a minority are pointing out that the data being seen is in fact showing signs of a faltering economic improvement and more signs of a slowdown. So, for the week’s close, as mentioned earlier, 30-year fixed averages are well-positioned at 3.5 percent, and the 15-year loan counterpart is between 2.75 and 2.875 percent. 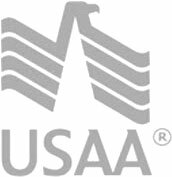 The advantageous VA/FHA rate for those who are eligible sits at 3.25 percent for a 30-year loan. Finally, the 5-year adjustable rate mortgage average closed between 2.625 and 3.25 percent.